Looking to plan the perfect golf trip to St. George, Utah? Planning a buddies trip or a romantic golf getaway can be a full time job not to mention pressure filled to deliver a memorable experience. 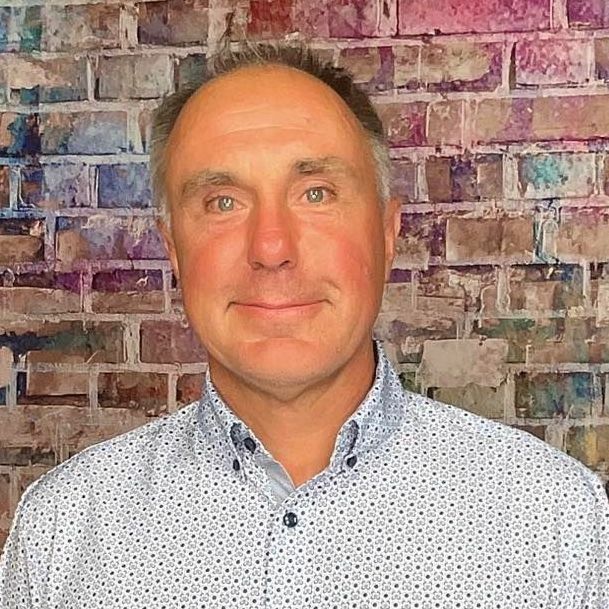 Below is an interview with Joe Newman, Media Specialist who shares some insider information about golfing and traveling to St. George, Utah, must play courses, a sample itinerary and where you can go for more planning tools. St. George is perfectly set up for golf trips. We have 10 courses all within a 10 mile radius, so you don't have to worry about long driving time between courses or getting around town. St. George is a thriving community of 100k+ residents, so you'll find all your favorite restaurants and lodging options as well as exciting southwestern eclectic dining choices. The intriguing scenery and impressive courses make for great memories and we find that golfers are often shooting their cameras along side their clubs. Don't let the prices fool you. You'd pay double at other destinations for the quality of golf you get at St. George. We often are asked if the courses really are as nice as the photos look and honestly as a golf photographer the camera can't do the area justice. It's so hard to fit the majesty of the Towers of Zion National Park and the grandeur of the peaks of Pine Valley Mountain in the frame. With golf surrounded by such beauty it truly is a place where golfers connect with nature and their game is rejuvenated. What are the must play courses in St. George, Utah? Sand Hollow has been described as the iconic red rock golf experience. The front 9 has large red rock formations intermingling throughout the course, and large red sand bunkers provide an experience you'll not soon forget. Then as you turn the corner on the back 9, you find yourself shooting along the edge of huge red rock cliffs and across red rock ravines that leave you begging for another round. Sand Hollow also features a great 9 hole links course flawlessly blended with the desert's natural sand dunes and rock formations. Coral Canyon is one of our most popular courses in the area. The natural play along the desert floor is exciting as you shoot across river washes and over desert brush. The fairways are typically fairly wide and forgiving, so go ahead and flex your muscles and go for your longest drive. The most common thing golfers say about Coral Canyon is just how fun it is. Golf? Fun? Hmmmm, now there's an idea. The Ledges Golf Club comes with unique views of it's own. The red rock panoramas from the rim of Snow Canyon State Park make you feel like you're playing golf in a postcard. Designed by renowned golf course architect Matt Dye this course has a friendly atmosphere with an upscale pro shop and amazing restaurant. The front nine is set up well to help you break in your driver, and the back nine is a great test to see how well you can control your irons. Sky Mountain is as scenic as it is challenging. Don't be fooled by the yardage, you'll earn every stroke here. But when you shave one or two off, it's all the more satisfying. The course is appropriately named for the amazing views from the elevated tee boxes. Don't be surprised if you find yourself gazing off at the cliffs of Zion National Park and the azure rim of the Pine Valley Mountains in the distance. Anywhere you look and anytime you play, it's simply gorgeous! 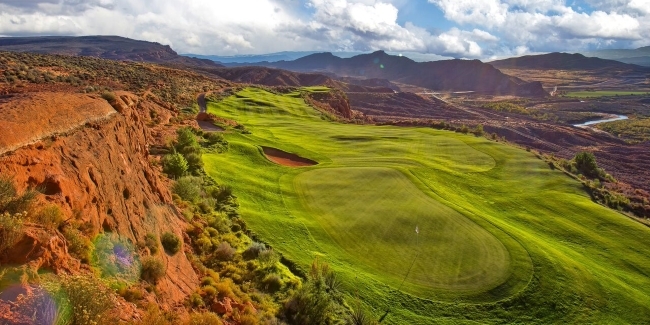 Dixie Red Hills is the pioneer of St. George golf, opening for play in the mid 1960's. If you want to play in the red rocks, you can't get any closer than this. You'll be calling shots off the boulders, around the cliffs and through the trees as you find your way to the green. The fairways are lined with large cottonwood trees which are great for shade and keeping your game on track. It's a perfect place for a quick nine holes right in the heart of St. George. Really, all the municipal courses are top notch. Most our visitors comment that the municipal courses are nicer than many of the top courses in other destinations, and you can't beat the prices. Thursday - Twilight Round at Sand Hollow. I love how the sun sets behind you on the Virgin River along the back 9. It's so scenic and serene. Friday - Morning round at The Ledges. Views of Snow Canyon State Park are best in the morning from the back 9 of The Ledges. Stop for some amazing cuisine at the Fish Rock Grill at The Ledges. It's been reviewed as the nicest restaurant and bar at any of the courses. 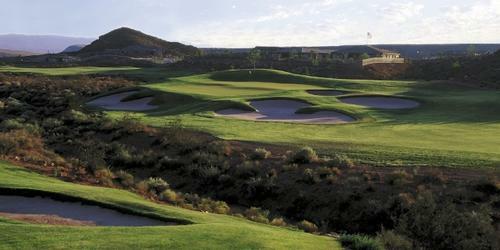 Friday Afternoon - Play the pioneering 9 hole course Dixie Red Hills. You'll be glad you did as you are immersed into the finest golf scenery in the heart of St. George. Saturday morning play Sunbrook. 3 different nine's give you plenty of play at your own pace. Sunbrook has been described as classic St. George golf with holes along the top of bluffs, playing over river wash beds, and even a thrilling par 3 island hole that will leave you dreaming of a hole in one. Sunday morning be sure to finish up with a round at Coral Canyon one of the Red Rock Golf Trails most popular courses. The views of the towering cliffs of Zion National Park in the distance along with the magnificent backdrop of the Pine Valley Mountains will leave you dreaming about red rock golf and begging to come back and play the other 5 amazing courses on the golf trail. Zion National Park is our most popular tourist attraction. Only 40 minutes away, you'll find endless adventure in hiking, biking, horseback riding, canyoneering and simply sight seeing the natural wonders of the National Park. As if one park full of red rock wonder wasn't enough, we have a second right North of town. Just 10 minutes drive, Snow Canyon State Park features arches, slot canyons, lava tube caves, and petrified sand dunes. For entertainment and night life, St. George has a thriving theater community with both local productions as well as the Broadway quality productions at the impressive outdoor red rock amphitheater at Tuacahn. Sports bars, several bowling alleys, movie theaters and evening festivals in the city center provide plenty of options for night life. Our peak seasons are in the Spring and Fall when the weather is most temperate. Summer can reach above 100 degrees in the late afternoon which makes for cheap morning golf rounds and leave plenty of time to relax poolside or at any of the 3 state park reservoirs in town. We are a year round golf destination, and rates tend to be lower in the winter though it's still 50 degrees outside and perfectly pleasant for a late morning tee time. Anything else you would like to share about the St. George, Utah? The main message we try to get out there is that there is a place where your golf game can be revitalized with stunning scenery, plenty of play options, without all the crowds. You've played the typical desert golf destinations and St. George is the new and exciting destination you've been looking for that will inspire you without breaking the bank.